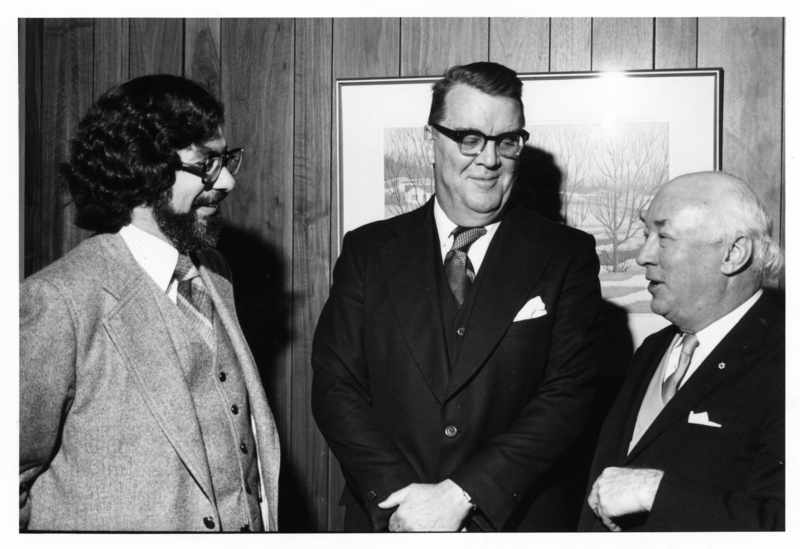 Item is a photograph from the second annual Horace E. Read Memorial Lecture at Dalhousie, October 28, 1976. Photograph shows (from left to right) Professor H.W. Arthurs; Chief Justice MacKeigan; and Dr. Henry Hicks.